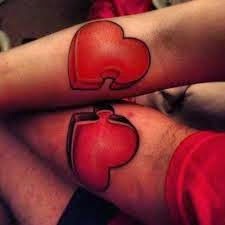 Surprise your partner with a tattoo for a couple, a tattoo that represents all the love you feel for that person who shares your life and makes you happier every day, this tattoo is going to remember each one the other one, how much you love her or him and the time you spent together. In this article you are going to find a selection of designs and ideas that could be great as tattoos, especially if both of you appreciate and enjoy tattoo art. 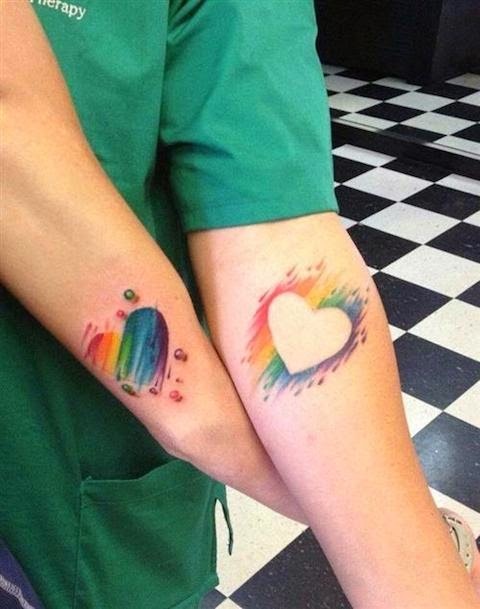 A tattoo for couples with colorful hearts. A tattoo for couples with two hearts as puzzle pieces that fit perfectly when they are together. 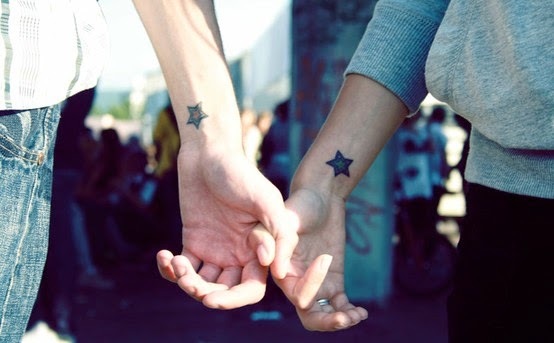 A tattoo for couples with 5-pointed stars. 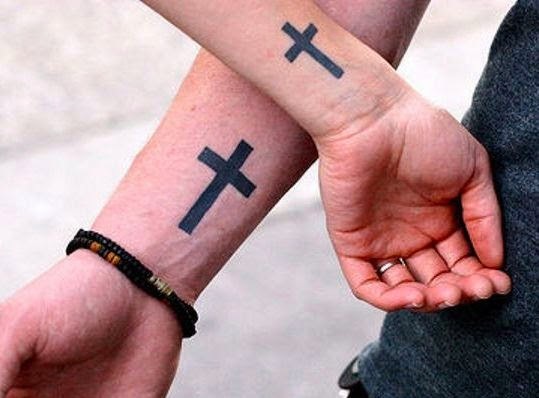 A tattoo for couples with black crosses. 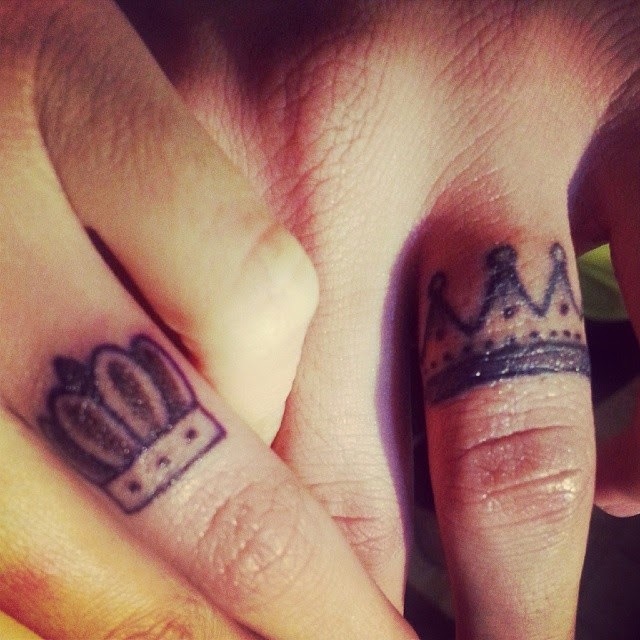 Tattoos for couples with a crown for a queen and other one for a king. 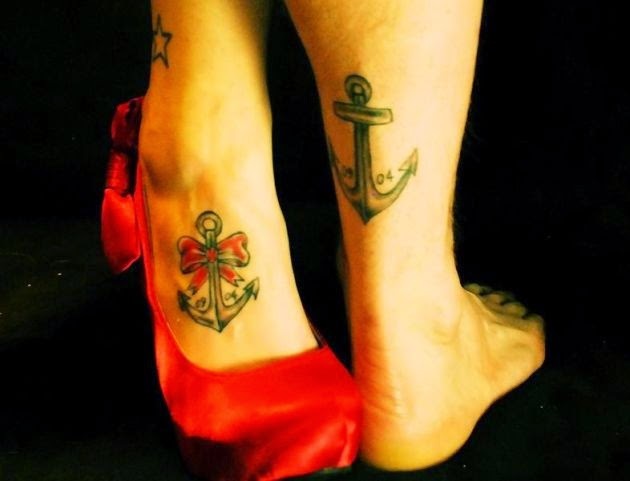 Tattoos for couples with two anchors, hers with a delicate red tie. 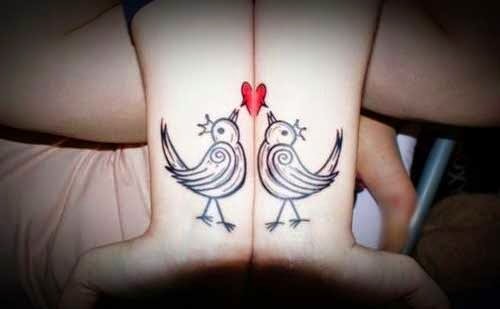 Tattoos for couples with two birds and a heart on their beaks that only can be appreciated when the arms are together. 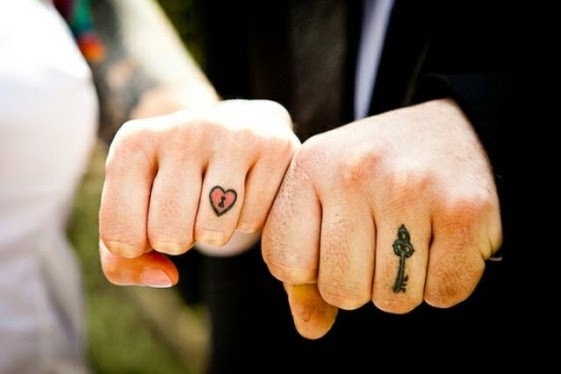 Tattoos for couples with a key and a lock on the fingers's couple. 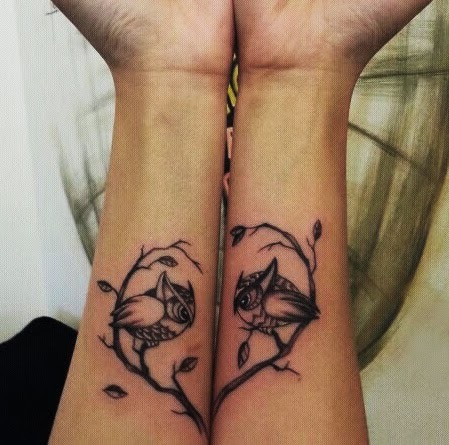 A tattoo for couples with branches and owls on them. 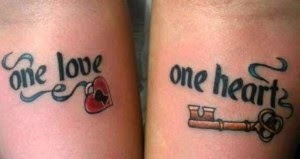 A tattoo for a couple with a heart and a key with the phrases: "one love" and "one heart". 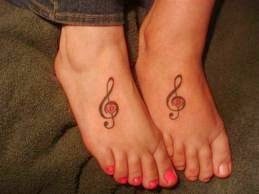 A tattoo for music lovers with musical notes tattooed on theirs feet.